There is a saying: "Only a bad craftsman blames his tools." I'm sorry, but that is a blatant lie. Not all tools are created equal. Having and using the right tool for the right job, often makes the difference between excellence and a botched job. So when I can, I invest in the best possible tools I can find. And when you are on a budget, you often troll through pawn shops, keeping a beady eye open for the bargains. That is exactly what happened here. I would never be able to afford a new set of Gedore tools like these, they are well worth their price, so I'm not complaining. But with these I struck a true bargain. It was standing at one of my favorite second hand shops. 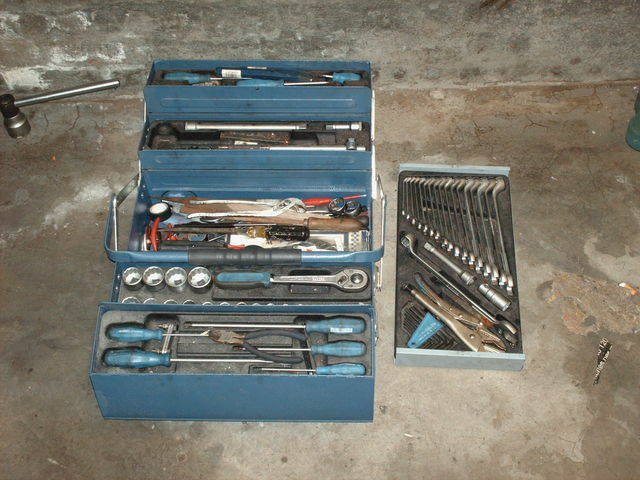 The entire box was stocked, nothing missing, and the price was what one would pay for just the tool-box, without any tools in it. 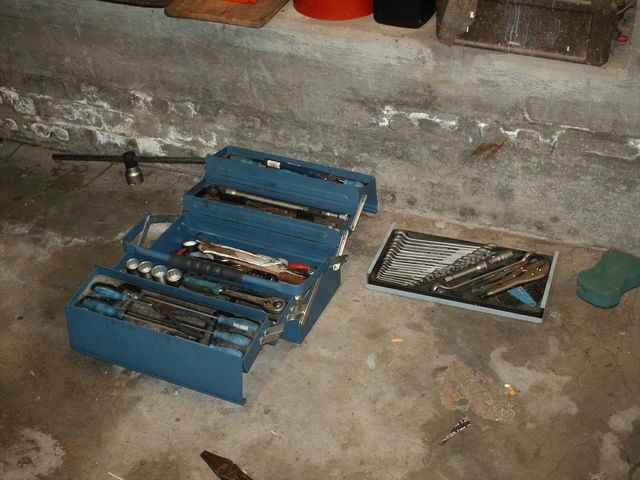 These tools have helped my maintain my '68 beetle, completely dis-assemble a Fastback and are helping me restore Christn. They are invaluable around the house.